Calgary First Aid offers stand-alone workplace approved CPR courses for candidates requiring only CPR certification and training. All workplace approved CPR training also includes certification in the use of automated external defibrillators (AED’s). The courses mentioned on this page do not include any first aid training and specifically focus only on CPR and AED’s. Health care provider CPR and AED – This course is 8 hours in length and cover CPR techniques for all victims. It adds additional training in advanced equipment such as bag-valve masks. CPR level “C” and AED – this course is 6 hours in length. This course teaches CPR techniques for victims of all ages. 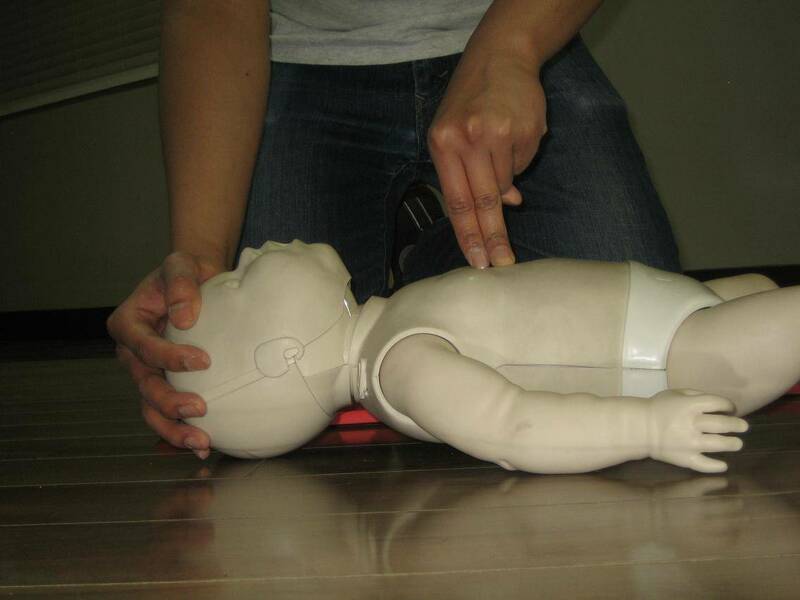 CPR level “A” and AED – this course is 4 hours in length. This course teaches CPR techniques for adult victims only. Upon successfull completion of both the skills component and the multiple choice examination (75% minimum grade to pass), candidates will receive workplace approved CPR certification that is valid for 2 years. Candidates may be required to renew certification prior to that time based on employer or educational program. All of the above mentioned CPR courses have available re-certificaiton courses. Renewal courses are cheaper and shorter than the original course and are designed for people that need to renew certification. To find it out if you are eligible for a workplace approved re-certification course or to register for a course select the desired re-cert course from the main menu or the side menu bar. Calgary First Aid has a no pressure policy to help candidates complete the required course. We understand that people learn at different speed and in a variety of different ways. If you do not complete the course the first time you are allowed to re-take the course at no extra cost. To register for a workplace approved CPR course in Calgary select your desired course from the selection in the side menu or main menu. Select the date, time and location of the desired course and fill out the registration form. Pre-pay for the course via our secure online payment system to ensure a spot in the course. If you have any questions or concerns please feel free to ask. We have comfortable and convenient locations throughout Calgary where we offer workplace approved CPR courses. Select the course of your choosing and you will have the option of selecting from a variety of different locations.